Please note: There is NO internet access in any Provincial or Federal prison in Canada. inmates serving sentences in Federal and Provincial institutions. world who would be willing to write to an inmate. are often forgotten about by family and friends who were once there for them. Contact with the outside world is lost. just to name a few. They become robots living an institutional schedule. Prison is far from being the “Club Fed” that it has been made out to be. through letters. Consider taking a few minutes to write a letter or send a card. It’s something simple like this that could lift their spirits and brighten their day. Please browse through the various pages of Inmate Members and become a pen pal. ​YOU MUST BE 18 YEARS OF AGE OR OLDER AND HAVE READ THE DISCLAIMER BEFORE ENTERING THIS WEBSITE. YOU agree to hold Canadian Inmates Connect Inc., its owner, and employees harmless from all costs, damages,liabilities, and legal fees resulting from advertisements and results of this service. Under no circumstances will we be responsible for any accidental, consequential, exemplary, or other damages arising from or relating to your use of this service. Users of this site should use caution when using this interpersonal service. Information is provided by the inmate and is not verified by Canadian Inmates Connect Inc. Canadian Inmates Connect Inc. is not responsible for any type of relationship that is developed through this site and by you using this site you hereby acknowledge the above. 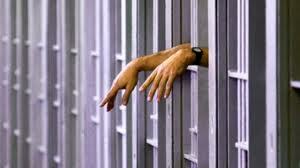 Canadian Inmates Connect Inc. reserves the right to refuse service and remove from Canadian Inmates Connect Inc. services at anytime, anyone for any reason deemed inappropriate by Canadian Inmates Connect Inc. management. This site is and will remain, the property of Canadian Inmates Connect Inc. Any persons that use names and/or pictures listed on this service, without permission from the person whose name is being used; accept all legal consequences of such actions. 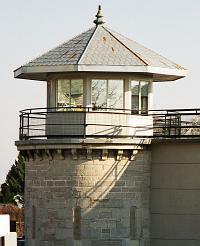 Canadian Inmates Connect Inc. DOES NOT give permission for the media or the public to obtain any names and/or pictures from these listings. By following any link on www.canadianinmatesconnect.com or any other pages within Canadian Inmates Connect Inc., you have agreed to these terms. Click on the icon below to agree to the terms and conditions before entering the website.